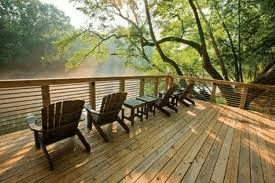 Walking trails, parks and riverfront viewpoints are among the amenities at Saluda River Club. Just minutes from downtown Columbia and two miles from Lake Murray, Saluda River Club combines a location, amenities and value to create a living environment that is fresh and exciting. Voted America's Best Community in 2009, Saluda River Club offers homebuyers a variety of new home styles. The Village District has home sites from the $60s, new Craftsman style homes from the $300s and new townhomes from the $200s. The River District features home sites from the $100s and new Executive homes from the high $400s. Saluda River Club is divided into two neighborhoods: The River District and The Village District. Located on the scenic Saluda River, The River District offers residential estate homes built with dedication to prestige and privacy. The River District homes provide the perfect setting for a family looking for a larger living environment. The Chickawa Club, located within The River District, has commanding views of the river and offers a quiet place to unwind or get together with family and friends. 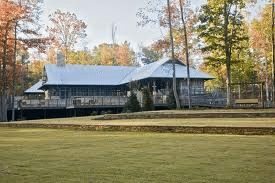 The Chickawa Outdoor Center is the centerpiece of Saluda River Club's River District. In the center of Saluda River Club is The Village District, a community filled with ambling sidewalks and beautiful parks. The Village District offers cottages, townhomes and single-family residences. The Village District also features a new urban village and The Village Clubhouse, a hot spot for an afternoon workout or a drink by the heated pool. Contact Us about building your next home in Saluda River Club, one of America's Best Communities.